Total 134 Testimonials, Showing 31 - 40 (14 Pages). "Working with Faraz to buy my car was the best experience I've had at a car dealership. Faraz found the perfect car for me and made sure I got a great interest rate on my loan. Simply Amazing! Thank you, thank you, Faraz. 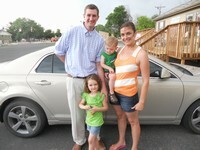 "The customer service was wonderful and they helped us find a safe and reliable vehicle for our family. We highly recommend Sturgis Motor Company!" "I bought a 2010 Dodge Ram. 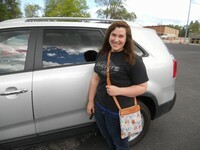 Second time around with them; I had good luck before with Sturgis Motor Company." 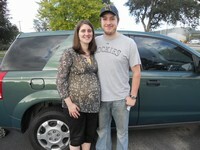 "We just bought a Kia Sorento from Sturgis Motor Company. We had an excellent experience dealing with Faraz. This family owned business gives service that makes you want to come back for your next car. Would recommend them to anyone looking for a good car with good service." 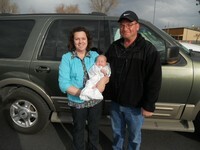 "Sturgis Motor Company was very helpful with finding what I wanted. Faraz was honest, and had service records, and knows the history of the vehicle. SMC was not pushy about the sale. We spent several hours going over the info and vehicle. We did the test drive then looked at service history. Faraz was very patient with us as we discussed and made a decision. I would recommend them." 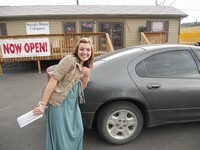 "I had the best experience at Sturgis Motor Company! 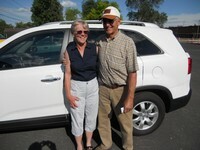 They are incredibly kind and I would recommend them to everyone looking to buy a vehicle!" "I recently purchased a 2004 Dodge Intrepid from Sturgis Motor Company and found the experience to be easy, stress-free, and fast. The honest, "It is what it is" personality made every step that much easier to want to make my choice. Faraz took care of everything! Very great experience! My sisters and brothers will love working with him in the future." 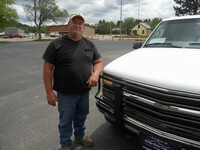 "Great vehicles, nice person to deal with, very satisfied with everything." "Wonderful to work with! 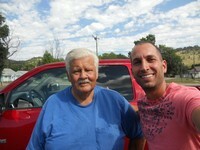 Faraz was very personable and made the experience of buying our Expedition fun!"